But research by the National Institute on Drug Abuse indicates that childhood marijuana use can affect learning ability, attention, memory, coordination, balance, judgment, and decision-making. 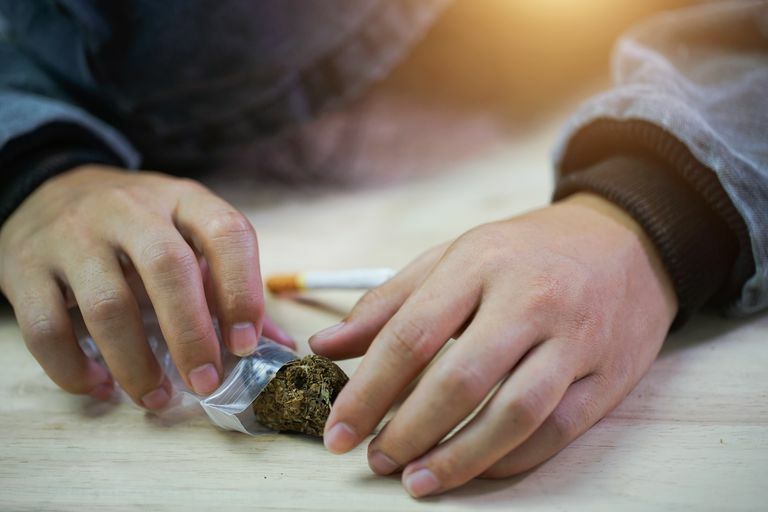 While it may not be as problematic for adult use as once believed, there are still plenty of good reasons to discourage pot smoking in teenagers (other than the fact that in most states, it's still illegal). Peer pressure to smoke pot remains a strong influence as well. If they have friends who are using marijuana, they are more likely to try it themselves. There's a tendency to adopt the attitude that "everyone is doing it" and it's part of the normal teenage experience. But research shows that the majority of teens make it all the way through high school without ever using marijuana. The marijuana legalization movement has played a role in sending a mixed message to young people. Teens today might believe "if it's medicine, it must be safe" or "if it's legal, it must be OK."
Duncan, DT et al. "Perceived neighborhood illicit drug selling, peer illicit drug disapproval and illicit drug use among U.S. high school seniors." Substance Abuse Treatment, Prevention, and Policy September 2014. National Institute on Drug Abuse. "How Does Marijuana Affect the Brain?" Drug Facts June 2016. Simons-Morton, B. et al. "Recent Findings on Peer Group Influences on Adolescent Substance Use." The Journal of Primary Prevention March 2012.